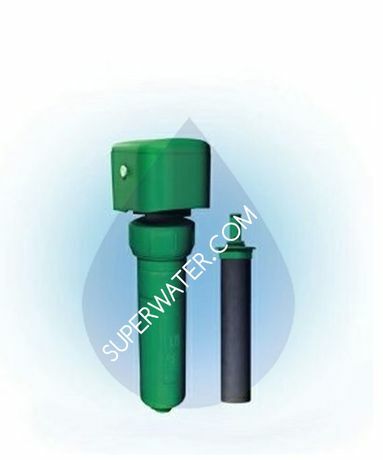 Superwater.com offers Free shipping on every Oasis 037070-1400 Green Water Filter order. Ideal for replacing your existing filter applications, the Green Filter # 0370701400 EZ-Turn allows you to simultaneously connect up to three customized filters of your choice for superior water quality and taste. The Carbon/Lead/Phosphate media removes CTO, lead and scaling ideal for broad filtration and maintaining your water appliances in good condition. Complete system includes the filter housing, one filter element, and a mounting clip to attach the filter housing to a solid surface.